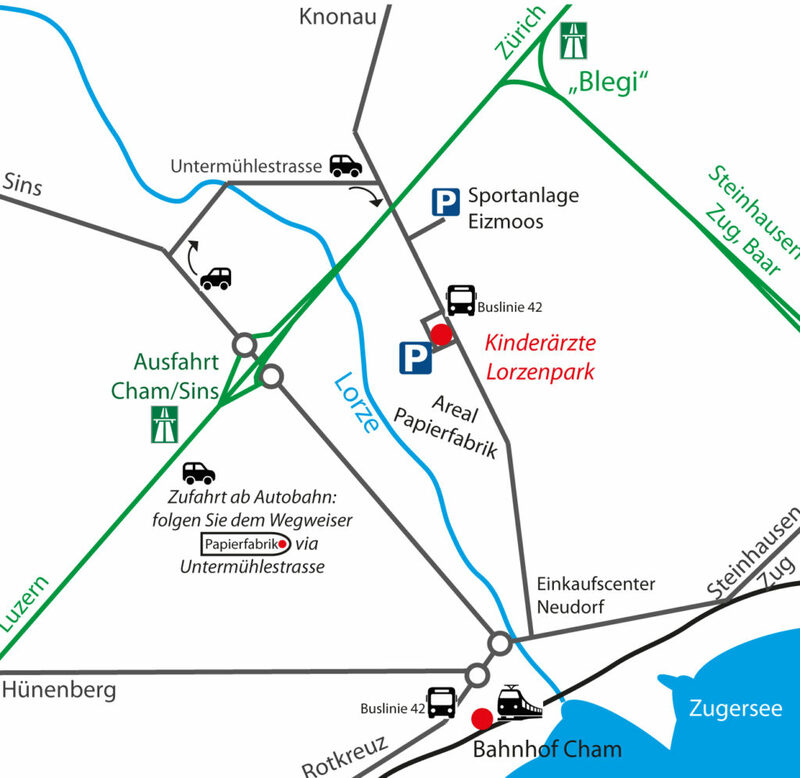 The practice is conveniently located in Cham Lorzenpark, near Autobahn A4, direction Zürich and Luzern. Free parking for our patients is available opposite the practice entrance, along the storage building; see signs for designated parking lots. Bus: Bus stop “Cham, Lorzenpark”, line 42, 6 minutes from train station Cham, every 15 minutes.